Please note that you must have scripts activated for this site to function properly!! 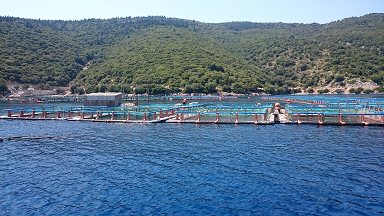 Founded in the year 1991 Erissos Fish Farm is a family business operating in the aquaculture industry. For more than 25 years we have been growing and delivering to our customers Seabream and Seabass of exceptional quality and taste. In the recent years, in response to popular demand from our clients, we have added Meagre to our list of products. 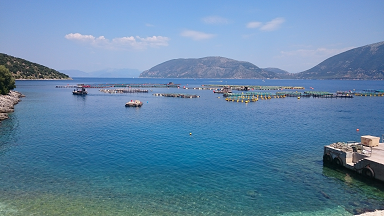 Our production site is located at the beautiful island of Kefalonia and our headquarters are in the port city of Patras. We are a small business focused on the quality of our product and we adopt production methodologies that have been certified for compliance to the ISO 9001:2015 and ISO:22000 quality standards. Our methodologies simulate the natural growing process of the fish and over the years these methodologies have been perfected by the adoption of numerous technological developments in the industry and have been reinforced by our many years of experience in the process. Our annual production volume is close to 300 tons of fresh fish that we distribute to a select group of wholesalers around the world. We consider our customers an integral part of our operations and we treat them like partners actively listening to their suggestions. Over the years, our customers have played a key role in our understanding of the product and have helped us grow to the business we are today. We consider our customers an integral part of our operations and we treat them like partners actively listening to their suggestions. Over the years, our customers have played a key role in our understanding of the product and have helped us grow to the business we are today. All our customers have had a long standing relationship with the firm and all share our passion for high quality products. We take great care not to disturb the natural ecosystem in which our product grows and we employ very strict environmental controls in every part of the production process. 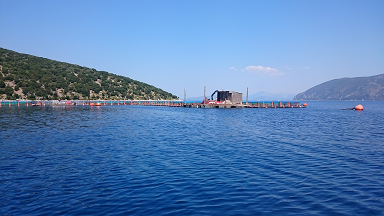 At Erissos Fish Farm we understand that we owe a great part of the success of our product to the environment we operate in. We take great care not to disturb the natural ecosystem in which our product grows and we employ very strict environmental controls in every part of the production process. 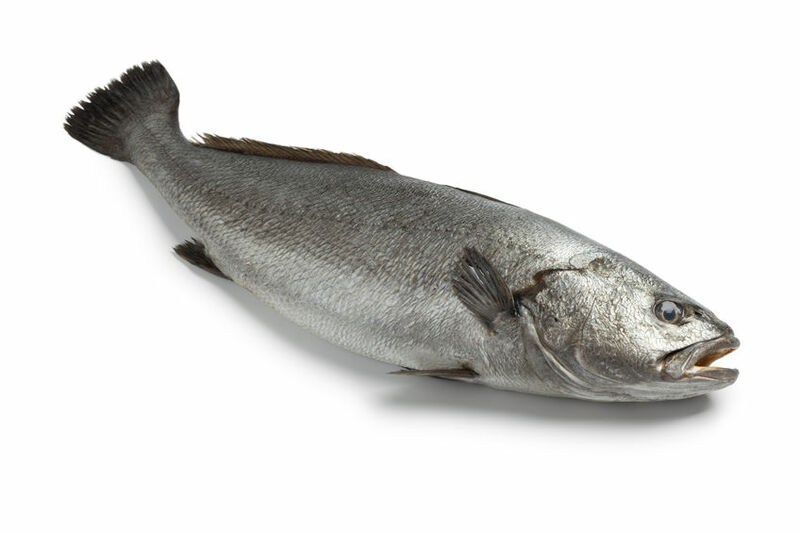 The quality of our product is directly related to the care and love that we demonstrate in each step of the production lifecycle.We understand that there is a science behind the growing process of the fish and we combine the latest technological advancements with the many years of experience and the love that we have for the product. The quality of our product is directly related to the care and love that we demonstrate in each step of the production lifecycle. We employ and have long standing relationships with renowned highly qualified ichthyologists around the country. There is a scientific procedure behind the growing of our fish and we combine the latest technological advancements with the many years of experience and the love that we have for the product. We understand that our power lies in our ability to communicate and collaborate successfully. We work in teams comprised of people from diverse backgrounds and with varied skill sets but who all share our passion for the product and the industry. Over the years we have made significant investments in new technologies both in our production site and our back office operations and we have a strong R&D function dedicated to enhancing our operations. We have never been shy to test and adopt new technologies that will help us improve our product offering. Over the years we have made significant investments in new technologies both in our production site and our back office operations and we have a strong R&D function dedicated to enhancing our operations. All members of our company share a passion for excellence in every aspect of our operations. We are well aware that to produce the best possible product we must actively try and excel in everything we do from the feeding process, the fishing and packaging process to the processing of orders from our clients. We are an export company and our products can be found in selected high profile delis and restaurants around the world. 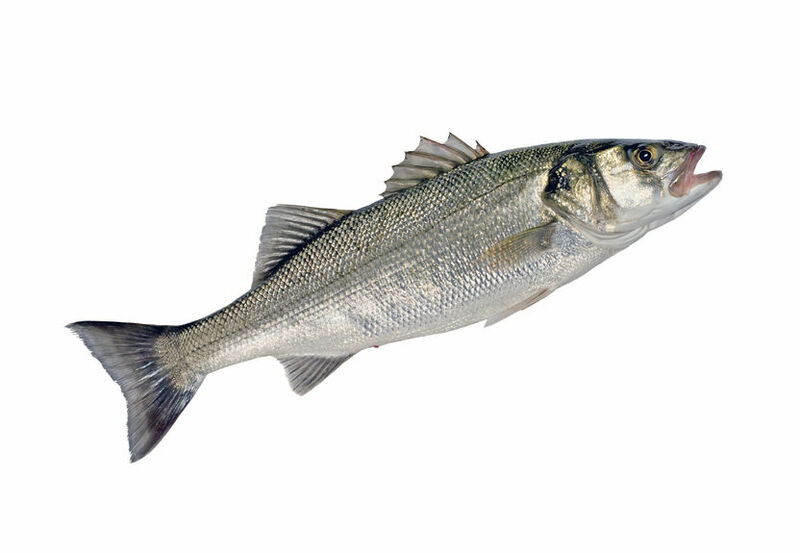 We are able to offer our customers a steady supply of fish of all sizes, all year long. For any enquiries please feel free to contact our sales team. We are an export company and our business model is based on building long standing relationships with clients that value our dedication to quality and our passion for excellence. We are primarily active in the Italian market but our products can be found in selected high profile delis, restaurants and hotels around the world. 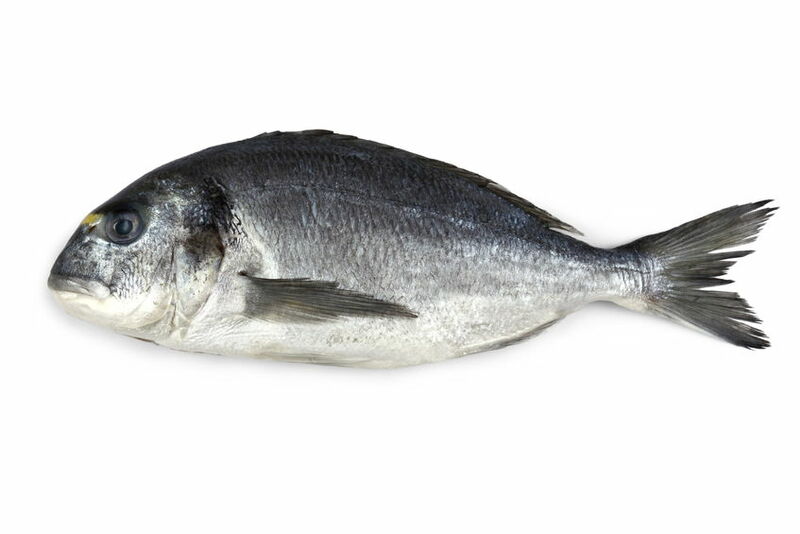 We are able to offer our customers a steady supply of Seabream, Seabass and Meagre of all sizes, all year long. To learn more about our offerings please contact our sales team. Erissos Fish Farm is an equal opportunities Employer and we are constantly on the look out for talented people who wish to join our team. If you believe that you have the dedication to excellence and the love for the industry that is characteristic to all of us, visit WorkSpoT and learn about our current openings. The WorkSpoT is the careers platform where all members of the Rassias Ventures Network of companies post career oportunities. To learn moe about the work we do in each of our two core departments please click the links below. Erissos Fish Farm is an equal opportunities Employer and we are constantly on the look out for talented people who wish to join our team. We advertise all our vacancies at the WorkSpot.